My mother got an offer from Princess Cruises that she could not pass up. 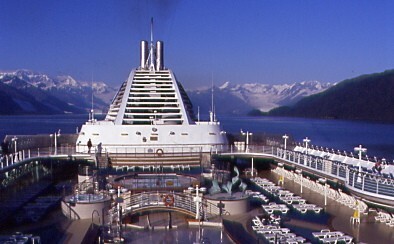 Since she always had known that I wanted to see the Inside Passage, she asked me to go with her. 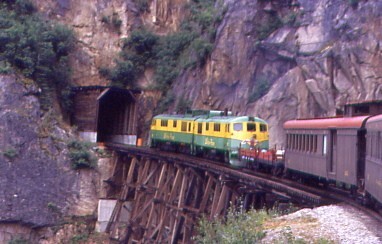 With the ship having a docking in Skagway this would give me a chance to ride the White Pass and Yukon. 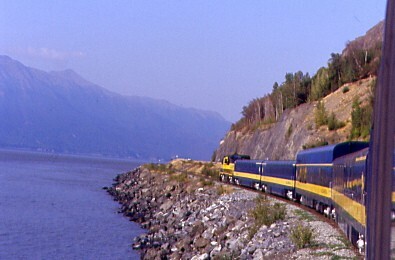 The cruise would take us from Vancouver to Whittier where we would board the Princess Train to Anchorage. 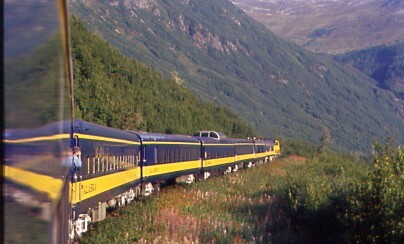 My mother booked us an extra day in Anchorage to I could take the Alaska Railroad down to Seward. 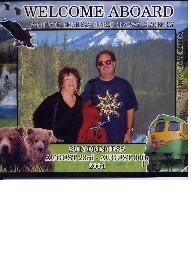 I contacted Alaska Heritage Tours about taking a Kenai Fjord Tour. Mike at the Auto Club took care of all the cruise details as well as the airline arrangements. My morning started with me up early to pack, but I received a phone call from Super Shuttle/Yellow Cab that they were overbooked and could not take us. They gave me a phone number of White Cab who arrive fifteen minutes early to take my Mother and I to John Wayne Airport. We walked right up to check our bags and to get our boarding passes. The Security Line took less than 5 minutes and we then found a nice window seat to watch the 7:00 AM rush of take offs. At 7:15 AM we walked onto the 737-400 plane and took seats 24 A&B. We departed Gate 10 at 7:35 AM for our 7:45 AM Departure. The plane took off at 7:43 AM and we were on our way to Seattle. With my Mother enjoying the view from the window seat, I listened to a Jethro Tull concert from Hamburg, Germany in 1982. Other than a cloudy Mt Shasta, we flew over a deck of clouds the whole way to Seattle. We touched down at Seattle at 10:18 AM and taxied over to the Gate D10. We walked over to D5 and had to have our boarding passes stamped that our ID had been checked. We boarded at 11:10 AM and filled out our Canadian Custom Forms as we sat on this MD-80 plane. Our flight would only take 31 minutes to get us to Vancouver, BC. The plane left the gate at 11:49 AM and took off at noon. It was another flight over clouds with me having the window seat on this flight. 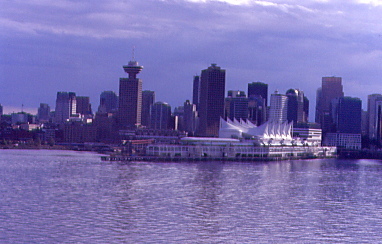 We landed at Vancouver International Airport at 12:35 PM and were off the plane at 12:45 PM. We made our way through Canadian Customs then met the Princess Cruise Staff who directed us to the bus that would take us to the Sun Princess. The bus took us into town via Cambia Street with the driver taking us to the dock via Chinatown and the Gaslight District. At the Canadian Place we went through Security and then check in. That was followed by going through US Customs who just scanned my passport. 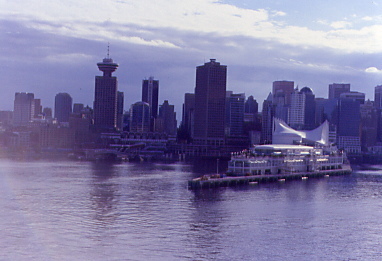 We then walked out and boarded the Sun Princess. We were assigned to room 303 on the Plaza Deck with our Stateroom Steward being Tavorn. Below is information about the Sun Princess. The ship is 14 stories high and measures nearly three football fields in length. 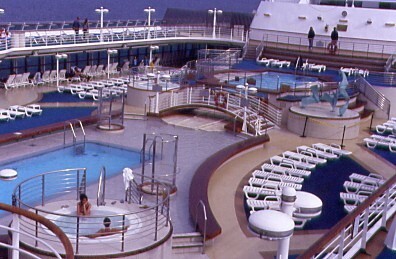 There are 10 Decks passengers can use. Below they are listed. Plaza Deck We had Room 303 on this deck. My Mother gave me a brief tour of the Sun Princess before we had lunch in the Lido Deck buffet. I then went off to explore the ship on my own. I purchased a Coca-Cola offer for $22.50. All the coke I could drink on the cruise. At that price, I will be really making out with this deal as I planned to drink plenty of Coca-Cola by the time we get to Whittier. 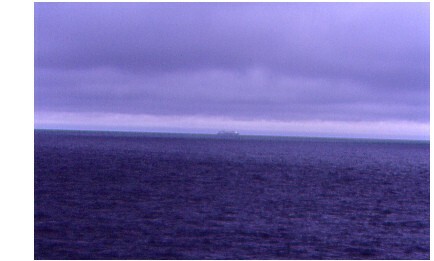 At 5:00 PM the Passenger Muster Drill took place. Passengers and crew assembled in assigned areas of the ship with their life jackets which we had to put on at the end of the drill. Our Muster station was in the Casino. That was one way to introduce the Casino to the passengers. 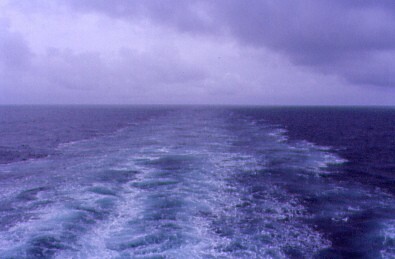 After that I went to the front of the Lido Deck to wait for our ship to depart. 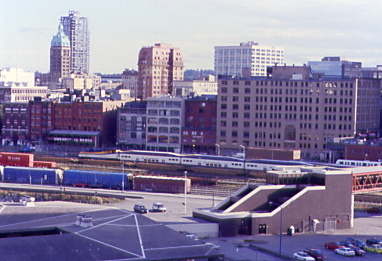 West Coast Express left the former Canadian Station while we waited to leave Vancouver. 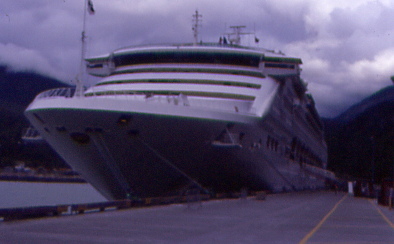 At 5:50 PM the Sun Princess began to back out of the dock. 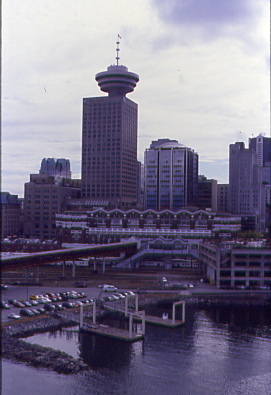 The terminal and downtown Vancouver stood out against the sky. 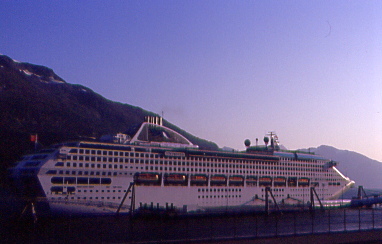 The ship then backed into the main harbor channel. 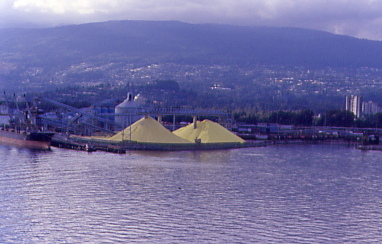 The piles of Sulphur on the dock. 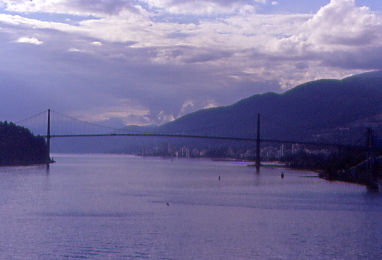 We sailed with North Vancouver to the north and Stanley Park to the south. 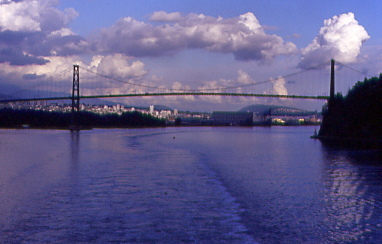 The Sun Princess passed beneath the Lions Gate Bridge. 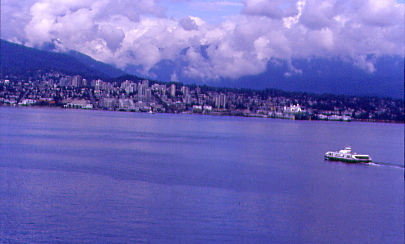 The ship sailed by West Vancouver to the lighthouse at the opening to the Howe Sound. 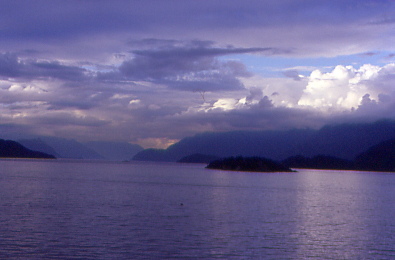 A BC Ferry was leaving Horseshoe Bay for Nanamio. Later at 8:00 PM we had our nightly dinner seating in the Regency Dining Room. At our table we had Thomas and Natalie from Wisconsin, Sue and Richard from England and Carlos and Mercedes from Pomona. Our wonderful waiter for this cruise was Valentin of Hungary and the outstanding junior waiter was Katarzyna of Poland. We returned to our room finding that Tavorn had made up our room for the night. We watched a few Olympic highlights on the BBC before I called it a night. 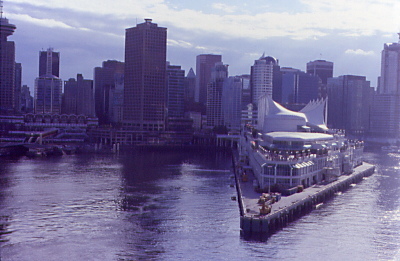 During the night the Sun Princess traveled north up the Strait of Georgia through the Johnstone Strait then out into the Queen Charlotte Strait. 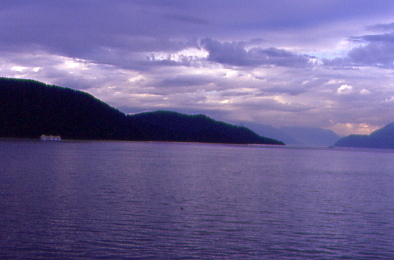 We started the morning in the Queen Charlotte Sound heading out to sea. Waking up late, I showered before taking the elevator up to the Lido Deck and enjoying a buffet breakfast on a dark cloudy rainy morning while my mother slept in. 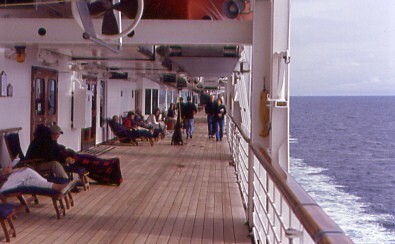 I spent my morning sitting on a deck lounge chair on the Promenade Deck listening to Jethro Tull from Copenhagen in 1979. The show was on the Stromwatch tour when Tull played all the new songs first. These songs really fit in with the ocean views that I was seeing. 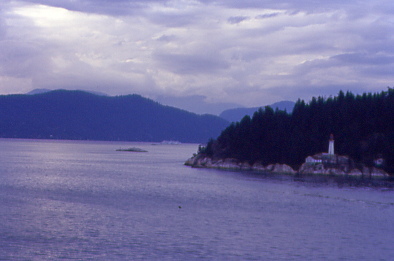 The Sun Princess passed a Port Hardy to Prince Rupert Ferry. I returned to the cabin to watch "Mona Lisa Smile". For lunch I went back to the buffet for roast beef as it started raining lightly again. I returned to the room to watch "Pirates of the Caribbean". I took a walk around the boat and after doing so I did not feel too well. 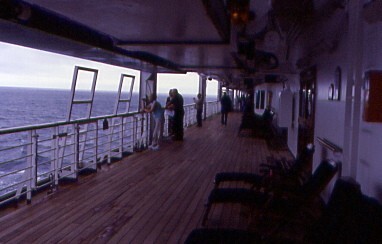 I went to the Promenade Deck for some fresh air but that did not help. I decided to skip dinner as I watched the end of the movie "Welcome to Mooseport." I did not see the ending of this movie on the California Zephyr last month. 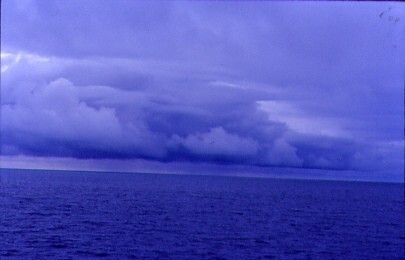 Still not feeling well, I took yet another walk and first enjoyed these very dark clouds. 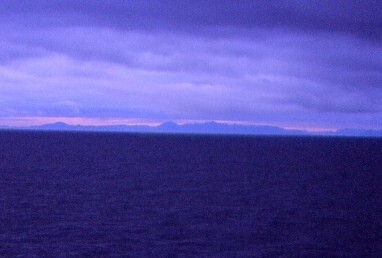 I spotted land in the last strong light on what had been a very dark day. I called room service for some ice cream. 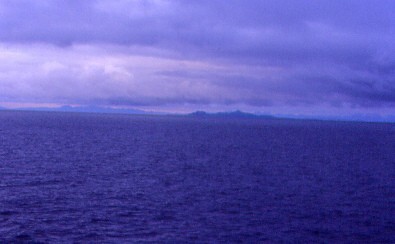 The ship passed Bonilla Island with its lighthouse and the Coast Range standing behind it. 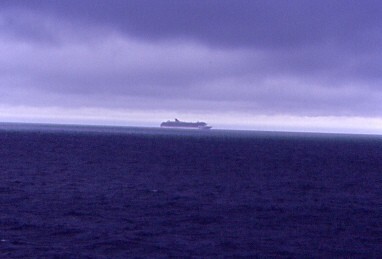 The Sun Princess then started the trek through the Hecate Strait as the ship headed into the night. It was at this point I called it a night. 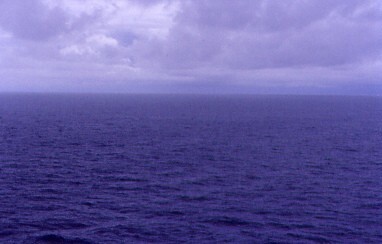 During the night the ship traveled through the Dixon Entrance then by Duke Island. 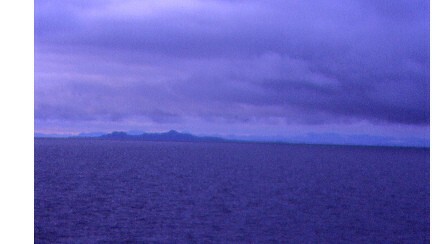 It went between Annette and Mary Islands before traveling east of Gravina Island and into Ketchikan, our first port of call. Click here for Part 2 of the story.